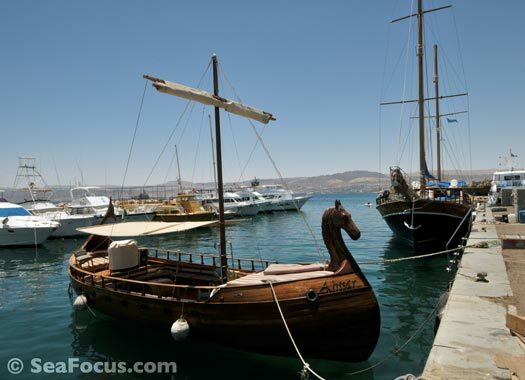 AQABA is located in the south of Jordan and at the very top of the Red Sea. 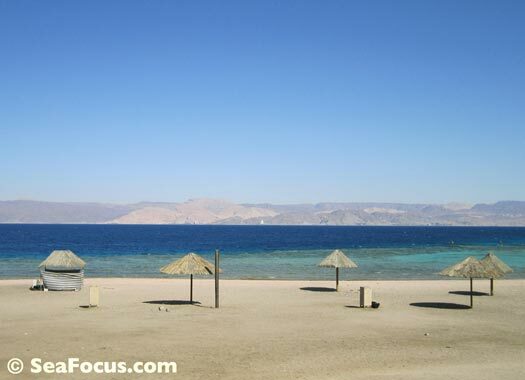 Transfer time from Aqaba airport is around 15 minutes by road. 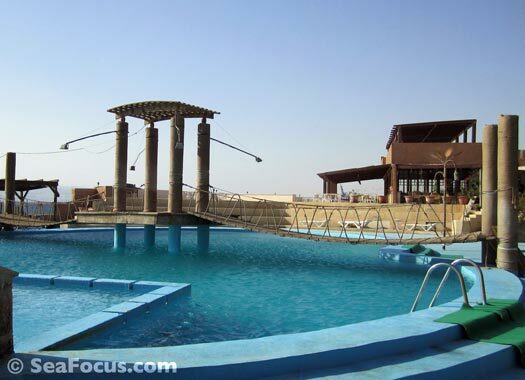 Over the years, the diving industry in Aqaba has developed with dive centres usually operating independently of hotels. 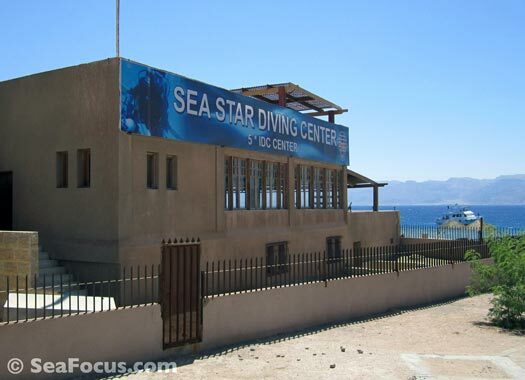 Although this is has started to change, you are most likely to find you will be staying in the downtown section of Aqaba and will travel daily to a "dive club" about 10-20 minutes drive south on the coast. Transport to and fro will be included in your package. At the southern end of Jordan's coastline, in Tala Bay, a couple of upmarket hotels have dive centres on site, but the advantage of staying in town is that there is a wider choice of hotels and at varying budgets. The town also has a good selection of shops, restaurants and bars for a bit of nightlife. 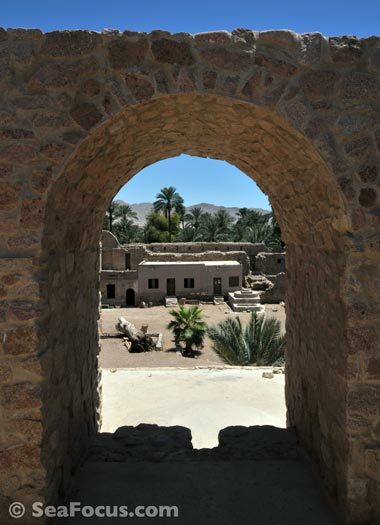 On your last drying out day, you can see the ruins of the ancient city of Ayla, the museum and Mumluk Fort. 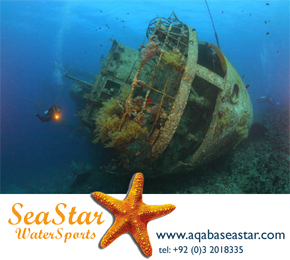 Seastar were one of the very first diving operators in Jordan. They have an office near the Captain's Hotel and their Club Murjan is just beyond the marine science station. It is well-located at the beginning of the protected marine zone. The club has a large freeform swimming pool and restaurant. The atmosphere is very relaxed and – while we were there – definitely not crowded. Depending on your package, lunch might be included but if not, the meals were good value and huge. All meals in Jordan are huge, you will never lose weight in this country! The dive centre has changing rooms, lockers and an area where you can store your equipment between dives. You will be responsible for all your own kit, even if it's rented, and rental equipment is usually included in the price. Divemasters at Club Murjan are experienced, good spotters and multi-lingual so this is a good place to do a course. The beach directly in front leads onto the excellent house reefs, Cazar Reef and Eel Gardens. Dives are scheduled twice daily but you can add a shore dive in the middle of the day. Night dives are done on request but tend to be late (to fall well after sunset) and are subject to the Coastguard coming around to check numbers. 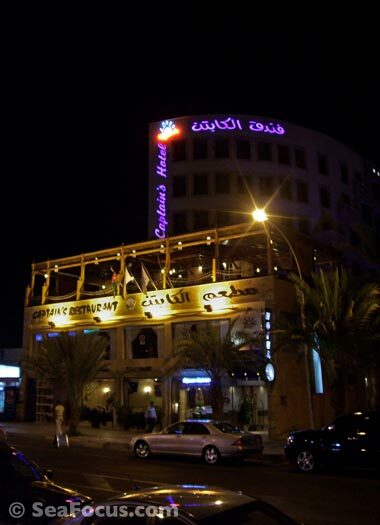 Located just a couple of streets back from the seafront in downtown Aqaba, the Captain's is a fairly new, small hotel and billed as the only "boutique" property in Aqaba. The atmosphere is friendly. The hotel itself is quite small with just seven floors and some rooms facing the sea. Others have a view over the surrounding streets but this is not a noisy area. Rooms could be described as compact but they are modern, well laid out, comfortable and equipped with all the usual mod-cons like a fridge and TV (there is a little noise between rooms, but that can happen anywhere). There is a pool, a spa in the basement, a small business centre and plenty of space on the ground and second floors for relaxing. Staff are helpful and the breakfast buffet is substantial. Beneath the hotel is the well-known Captain's Restaurant with a varied menu mixing local and international cuisine. 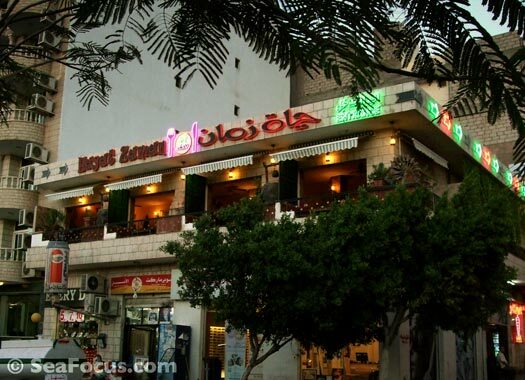 Like quite a few establishments in Aqaba, the restaurant and hotel does not serve alcohol, but there are plenty of bars nearby along with supermarkets and liquor stores.